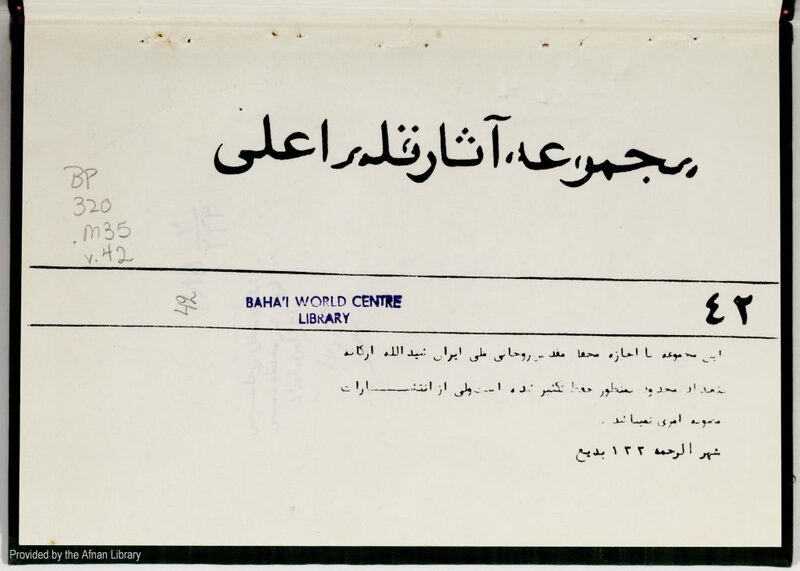 Description: Collection of Tablets of Bahá’u’lláh largely addressed to Mírzá Haydar `Alí. Manuscript, 264 pp. (PDF is 266 pp. ).